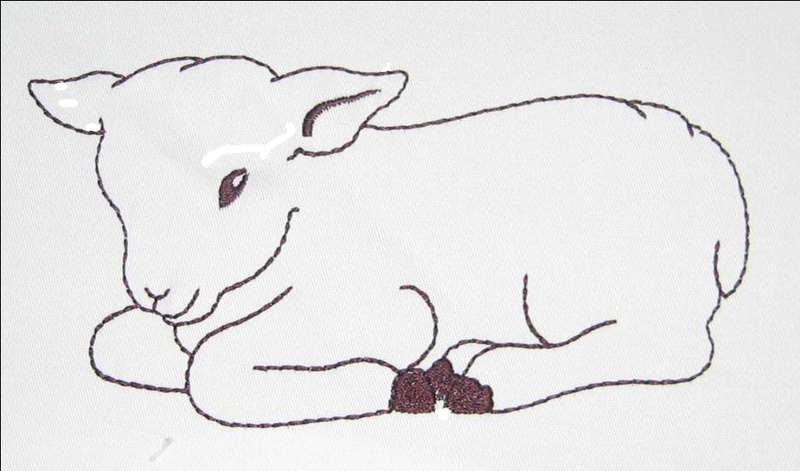 A gentle lamb curls up peacefully, in this simple yet touching design. The thumbnail image to the left really does not do this design justice. Click the thumbnail to view the full-size image.